Seesaw is the best thing that has happened to me in my teaching. Kids can digitally document there work, separate it into subject folders, and comment on there own or others others work. Teachers no longer have to drag binders of student work Home to grade. Instead, instant feed back is possible via text or voice comments. 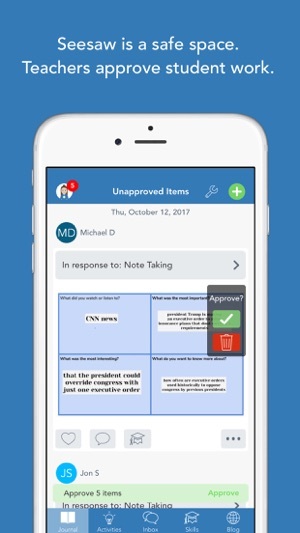 Parents get notified when something new has been posted in their child’s “journal” and with the new ability of sending announcements, even newsletters can be sent out through the app. There is so much more that seesaw can do, but check it out yourself. It truly is the best thing since sliced bread. 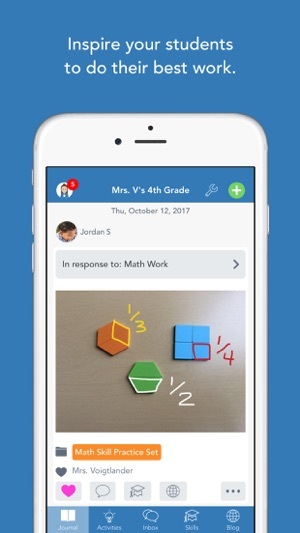 In my previous review, I had written that while Seesaw had many amazing features, it was missing a feature that was important to home-school communication: the ability for parents to send pictures through private messaging. Now, the latest update gives that ability and more! 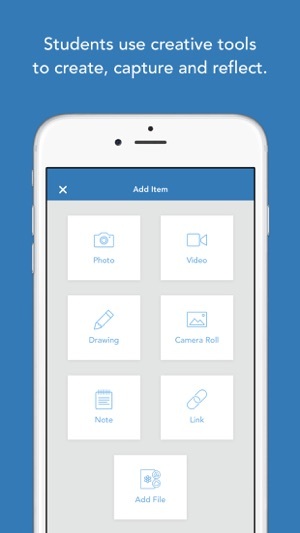 Not only can parents/teachers send pictures through private messaging, but also videos, pdf files, and others! 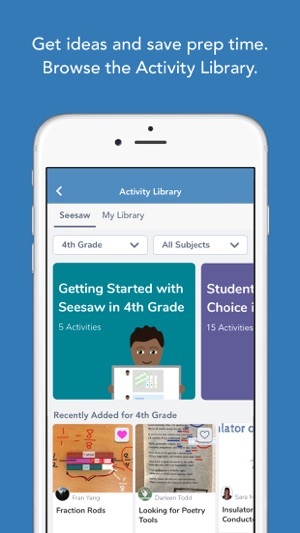 Now, my one remaining wish for Seesaw is to have something to the School Story feature similar to Class Dojo. 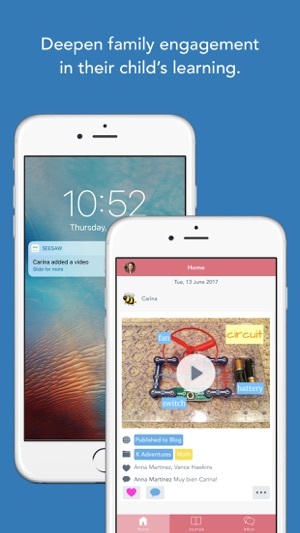 This feature will help schools share school-wide activities/announcements to families. 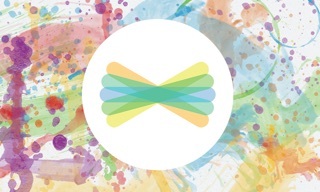 Seesaw is amazing! The BEST app for primary grades! I have always had two problems with independent work in my first grade class: I can’t check up on them without having them hand in a worksheet, and I can’t always be there to give them directions again in case they forget, especially during centers. 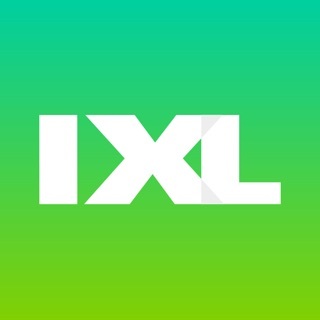 This app solves both those problems!! I can be at home on my couch checking their independent center work, I can record and write directions so that children of all ability levels can understand what to do, and I can turn just about any assignment into an authentic assessment instantly! Could not love this app more! !